How frightfully convenient that there was a Fantasy Makers shade in my epic WnW haul! I have been saving it just for today! 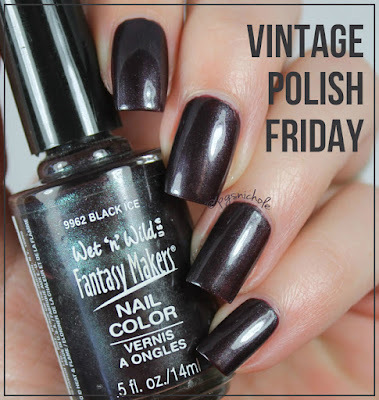 This is one of those shades that I love and hate...It is so amazing in the bottle, but falls slightly flat on my finger. Its a holiday tragedy. This shade was one I bought every year. And then threw out in disgust every spring. It is a lovely color, but I want that icy green shimmer! Give it to me! Alas, I never got it...but I never stopped trying. So many last-minute Vampirewitchgothteenager costumes were finished off with this shade over the years...so very many. I am still desperately in search of this particular orangey pearly shade that always came out on Halloween...I think it had the gold holo cap, but I can't recall. If you see it floating around, do let me know! Aw man, that is really pretty in the bottle! Too bad the green shimmer disappears on the nail. you can rebuild it. You have the technology. I will neither confirm nor deny that. Maybe Essie For the Twill of it would be an ok compromise? Not quite as dark, not quite the same shade but the weird shimmer does come through on the nail more. Generally not for me, either. I only have 3 of their polishes. For the Twill of it was just one that I couldn't resist. 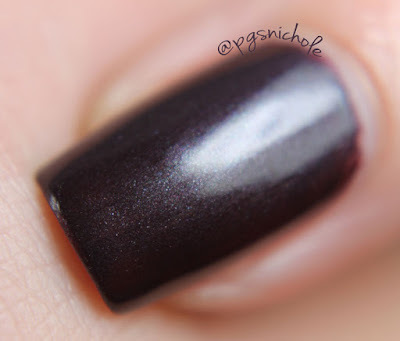 Nichole, if you want to try out For the Twill of It but you don't love Essie, try Peace Love OPI from OPI... It's an exact dupe! OMG, how did I miss this one? I don't remember seeing this in the late nineties when I was collecting Wet N Wild. it only came around during the holiday. I remember grabbing this at Long's Drug in high school every single year...I never learn. 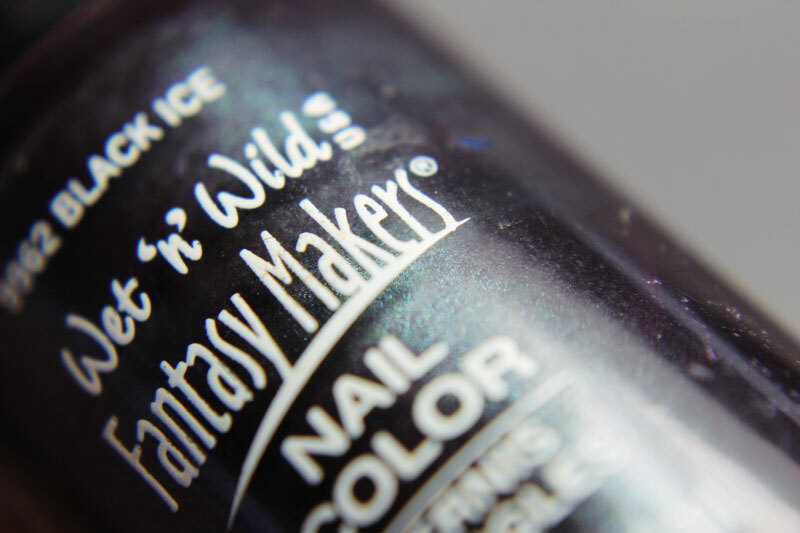 I used to go to Long's Drug every day in October looking for the Fantasy Makers display. Halloween makeup is the love of my life. Ugh, it drives me crazy when the colour is so amazing in the bottle but ends up disappointing on the nail! I should just put a bunch of shimmers in base so I can just add a quick coat to get the effect I was hoping for. I wonder how many times you bought this if you bought it every year.....lol! I probably had 5 or 6 bottles at least...I never said I was smart. Gimme that green shimmer, damn it! Oh man, this polish looks so cool in the bottle! I can totally see why you kept buying it over and over again. I remember this one! I think I have it buried in my stash somewhere. I remember the disappointment of the no green shimmer, but damn if it wasn't a pretty polish all the same lol. This is absolutely gorgeous! So odd that the shimmer in the bottle doesn't translate to the nail though. Ugh one of those frustrating green shimmer polishes...why does the shimmer always have to hide on the nail! Dang hidden shimmer! The purple undertone is killer on you though!